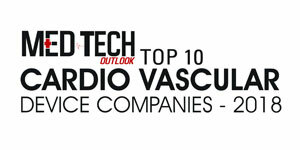 A paradigm shift is underway in the healthcare industry, with minimally invasive approaches for cardiothoracic procedures that bring manifold benefits to the patient, which is increasingly becoming the norm, especially in certain interventions such as isolated valves and thoracic surgery. Advanced surgical access systems that are designed to optimize exposure and result in improved surgeon experience is the impetus furthering minimally invasive procedures. As a specialty access and instrumentation company, the Texas-based TeDan Surgical Innovations (TSI) brings to the table expertise in the nuances of the cardiothoracic industry that takes into consideration the unmet customer needs in the healthcare community. “Our products are designed with a goal of improving patient outcomes by providing superior access and visualization enhancing the surgeon’s ability to accurately perform complex surgical procedures,” saysRay Bertolero, the Director of Sales, TSI. With its flagship product the Ultravision™ Retractor series, TSI provides unparalleled access for minimally invasive approaches such as mini-sternotomy and mini-thoracotomy procedures. The Ultravision CT-1000 Retractor Set has a unique, anatomically conforming blade design aimed at reducing intra-operative rib trauma and post-operative pain. Its integrated lighting system provides surgeons with superior visualization in deep cavity surgery. The wide selection of blades also allows the retractor to be used for mini-sternotomy or mini-thoracotomy access for minimally invasive heart valve procedures, or for minimally invasive direct coronary artery bypass (MIDCAB), as well as direct access transcatheter aortic valve replacement (TAVR). The access system also has a pivot feature enabling the surgeon to retract blades distally, exposing critical patient anatomy while also creating an increased working area, minimizing the need for larger incisions. TSI’s latest innovation, CTLift System enables optimal exposure of the internal mammary artery (IMA) in coronary artery bypass graft (CABG) procedures utilizing standard or minimally invasive approaches. “This system is simple and easy to use and sets up in less than one minute, saving precious OR time,” states Bertolero. Likewise, the company’s mitral valve exposure (MVE) products provide options for access of the mitral valve when using minimally invasive access. Bertolero cites a particular instance of a well-known New York City hospital that was establishing a TAVR program and often performing surgical procedures in the catheterization lab. Occasionally, the patient’s peripheral vessels are too small to allow percutaneous valve placement necessitating a surgical approach through a small incision for introduction of a valve replacement. With cath labs not having the appropriate surgical lighting, the hospital’s installation of Ultravision Access System with integrated lighting, immediately addressed their clinical challenge by enabling the surgical approach when required in the cath lab environment. Apart from facilitating hospitals with products and techniques that improve patient outcomes, reducing operating room time and patient complications, TSI’s instrumentation keeps equipment maintenance costs under control with its high-quality products that present the best long-term value due to their longevity and the best lifetime warranty in the industry. In the wake of increasing regulatory challenges, TSI has increased its regulatory resources and investments to take the lead in the space of new regulatory requirements and certifications. From a product innovation perspective, TSI’s focus is on evidenced-based patient outcome enhancement and optimization of operational costs at hospital institutions globally. As a strategic market development move, TSI recently commercialized product innovations such as the CT Lift System to disrupt existing surgical approaches to IMA exposure—all in an aim to become the leader in adjacent clinical spaces absent to innovation. “In doing so, our mission is to become the first-line treatment of choice in all clinical access applications in cardiothoracic surgery,” affirms Bertolero.